Texans are handy people. We don’t have to tell you that—you probably know all too well. But even the handiest of Texans could use a helper every now and again and knowing where the best hardware stores with the keenest customer service are located is key to any successful project. Here are our picks for the best hardware stores in Texas. Bering’s was originally established in 1940 and continues to provide the Houston area with excellent selection and customer service from their two locations. They stock a wide variety of goods, including stationary, tabletop, home décor, outdoor, kitchen items, grilling, and hardware equipment. Choose from their incredible assortment of deco builders, electrical, tools, and emergency weather provisions. Elliott’s Hardware has multiple locations scattered throughout Texas, including one in Plano, another in Mesquite, and two in Dallas. They primarily stock hardware and outdoor equipment, including grills, and have been in business since 1947. Check their website for rental and promotional offers. Breed and Co. is an independently owned Ace Hardware expansion with a location in Austin, Texas. They’ve been providing Austin with excellent customer service, homeware, kitchen equipment, tableware, hardware and garden material for over 40 years. Sunset Ridge Home and Hardware is a locally owned and operated business in San Antonio, Texas. In addition to stocking the latest and greatest in home and hardware equipment, they have regular workshops and events, like painting classes and grill demos. Check their website for a full list of offerings and brands. Hardware Specialties and Glass Co. primarily supplies big businesses with wholesale equipment, but they’re also more than happy to get walk-ins from anyone. They’re family owned and operated and have been in business for over 50 years. They’re happy to offer lines of credit to qualifying buyers. Waco’s Circle Hardware Supply is an outpost of Do It Best but retains its independence as a locally owned hardware store. 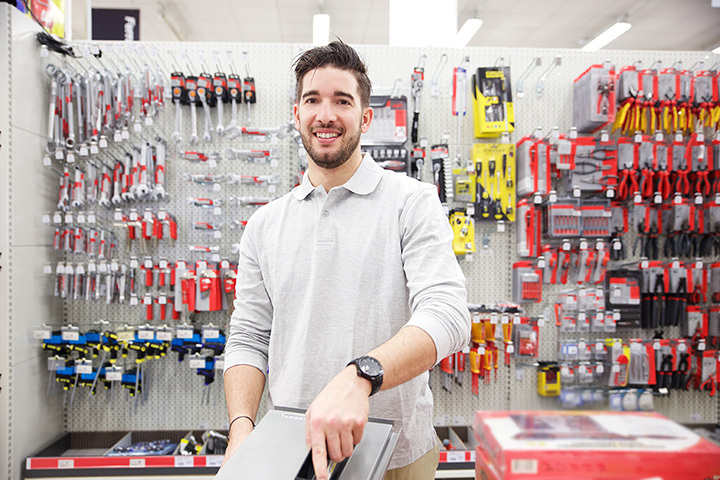 According to their website, their goal “is to be a 21st century hardware supply store with all the benefits of technology in both quality products and information systems.” Products and services include plumbing, electrical, paint and much more. Morey Lumber and Hardware Co. is another local hardware store that’s coming up on over 40 years of service. They’re open every day of the week and maintain a fairly straight forward approach: provide the best selection of paint, plumbing, electrical, lawn and garden, and hardware to the people of Fort Worth as they can. Rockler Woodworking and Hardware has six locations throughout Texas, including one in Houston, another in Spring, Arlington, Richardson, Frisco, and Garland. Shopping at a bigger outlet like Rockler has its advantages, including regular sales and promotions. They have weekly in-store demonstrations for all kinds of techniques, so consider dropping by to pick up a new skill. CC Plumbing Supply in Corpus Christi, Texas, is a top-notch plumbing supply outlet. According to their website, they “lead the industry in customer approval and strive to provide world class service for every contract, large and small.” Whether you’re picking up supplies to complete a home project or want to hire someone to help with it, CC Plumbing Supply is a great option. Sutherlands Home Base has four Texas locations, including ones in Lubbock, Copperas Cove, Amarillo, and Mineral Wells. Their website has tons of great tips and advice columns, but the main attraction is their excellent selection of home improvement tools. Stop in for hand tools, heating and cooling, sporting goods, farm and ranch, paint, automotive, and much more.